I found passion fruits at normally grocery that very rare also the store was selling special deals mango. tropical fruits other than bananas are expensive in Japan. so, I decided making mango and passion fruits jam. It was sweet sour and good fruits fragrance, that reminded me of south countries! I made English dessert ”fool” several time. Summer is the season for fool in UK. 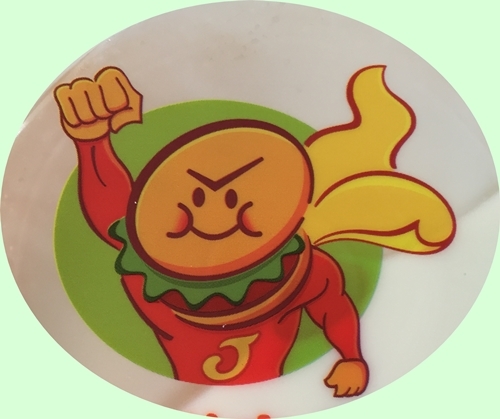 I like it very much, because It has many variations. sometimes I making it that custard with havy cream or Greek yogurt with custard etc. I like cool desserts such as jelly etc. but it coagulates with gelatin, waiting time is bother!! 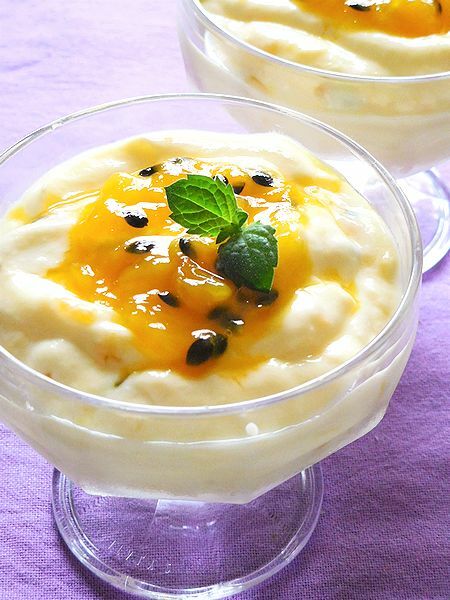 Today I’d like to introduce how to make mango and passion fruits jam and mango pudding style fool. mango puddings are very popular dessert in Hong kong. if you prefer sweet to sour, I recommend use it yogurt and custard. you’d like better it making cream and custard. 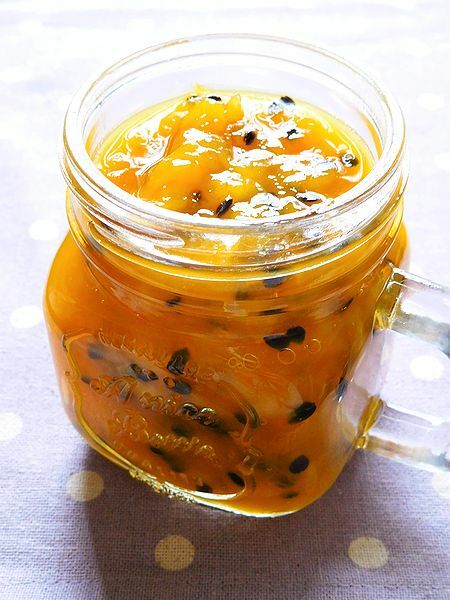 ジャムの材料と作り方・How to make mango and passion fruits jam. 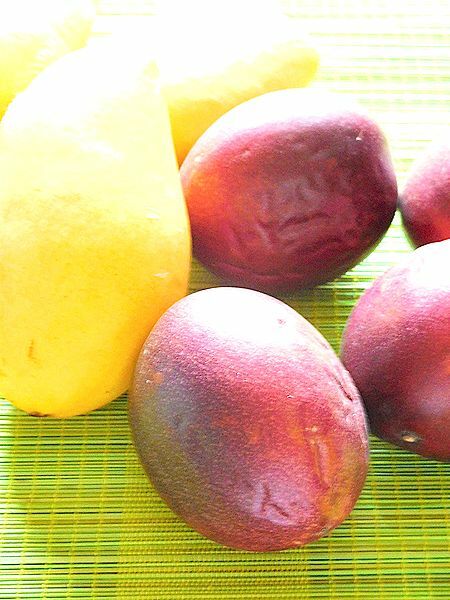 Add mangoes(chunked), passion fruits pulp, sugar and lemon juice into the source pan, then it put about 10 -20 min. the mixture cook for 20 minutes on a low heat, then cool it. クリームとフールの作り方・How to make cream and fool. cornstarch into the mixture stir well. the the milk pour in the mixture little by little and add the vanilla extract. add the whipped cream or greek yogurt into the custard, then stir well. add the jam into the mixture, then stir lightly.